Moments after we reported that Google Wallet users were seeing an additional $5 in their accounts without warning from Google, everyone received the email we have attached below that explains. And yep, we were right. Google wanted to apologize for the last few painful weeks with their service and has decided to hand out another $5 for any inconvenience they may have caused. As you may have experienced over the last few weeks, we temporarily disabled the feature to add the Google Prepaid Card back to your wallet if you previously removed the card or reset your wallet. We temporarily disabled this feature to ensure the security of our Wallet customers. We recognize this may have been an inconvenience for you, and we did not make this decision lightly. We are happy to announce that you can now add the Google Prepaid Card back to your wallet with the newest version of Google Wallet, and any funds that you previously had on the card should be restored, unless you contacted Money Network and asked for a refund of those funds. 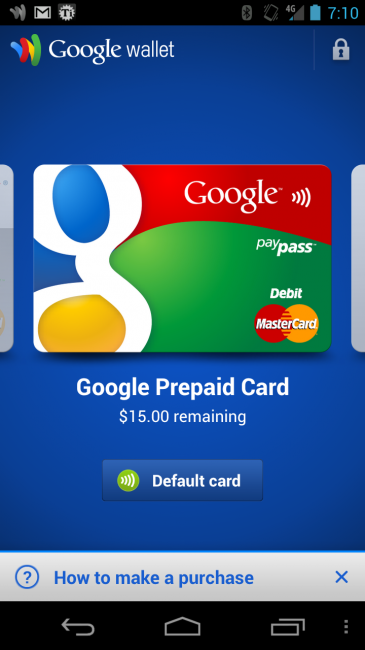 To add the Google Prepaid Card back, you will first need to update your Google Wallet application to the most recent version. To compensate you for any inconvenience this may have caused, we have credited an additional $5 (five US dollars) to your Google Prepaid Card. If you have further questions or concerns, feel free to contact us at 855-492-5538. Thank you for your continued support of Google Wallet, and we look forward to launching many new and exciting features for you to enjoy in the coming months. So get back to adding your cards, if you didn’t already. Enjoy your extra $5 at 7-11 tonight.